A region is a portion of the earth's surface that has one or more elements of homogeneity distributed somewhat evenly throughout the area. The Ozarks is one of America's great regions, set apart physically by rugged terrain and sociologically by inhabitants who profess political conservatism, religious conservatism and sectarianism, and strong belief in the values of rural living. This popular image of the Ozarks, though widely accepted, is poorly understood in geographical terms. In a word, the boundaries of the Ozarks are vague to most people and subject to interpretation and disagreement by the experts. As delimited by geographers, the Ozark region extends over all or part of 93 counties in four states: Missouri, Arkansas, Oklahoma, and Kansas (Map 1 ). The total area is approximately 50,000 square miles, an area the size of Florida. Sometimes the Shawnee-town Hills, which stretch across southern Illinois, are included in the Ozarks, but more often they are linked to the limestone Iowa-plateau country that extends through southern Indiana and central Kentucky and into Tennessee. 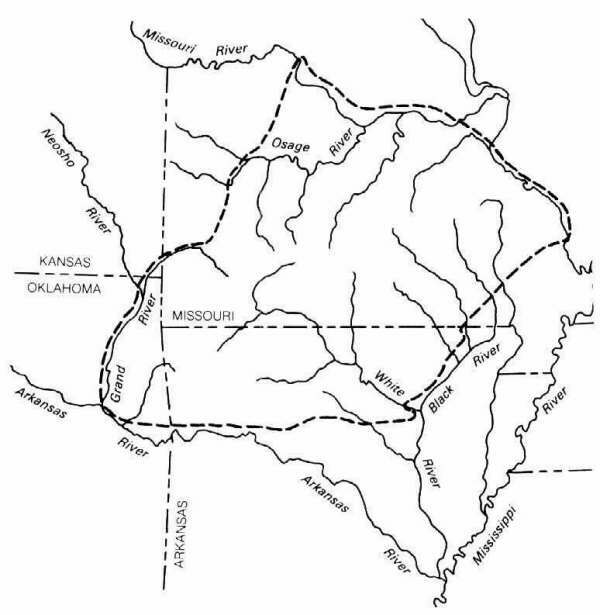 The boundaries of the Ozarks are marked in a general way by major rivers: the Mississippi River on the east, the Missouri River on the north, and the Grand River on the southwest (Map 2). Most of the western boundary follows a line where rocks of the Pennsylvanian period overlap those of the Mississippian period. Several geographic features tend to distinguish the Ozark Plateau as a region. Surface rocks are older than those exposed in surrounding areas. For example, the granites in the Elephant Rocks in the Saint Francois Mountains are believed to be more than a billion years old. Great relief and steep slopes are typical of the rugged knobs in the Saint Francois Mountains in eastern Missouri, the flat-topped summits and steep valleys in the Boston Mountains of Arkansas, and the rugged, dissected terrain in the White River Hills, Osage-Gasconade Hills and Courtois Hills. The region is heavily mantled with oak-hickory-pine forests and cedar glades. The Ozark Plateau is distinguished from the Ouachitas by a less disturbed rock strata and a profusion of limestone and dolomite. Chert (flint) is in great abundance. The resistant chert, when weathered from the dolomite in which it is embedded, accumulates at the surface and must be cleared from fields. Stream beds are choked with chert gravel washed from steep hillsides. The Ozark region is known for its great abundance of karstic landforms (springs, caves, sinks, etc.) including such features as Alum Cove Natural Bridge near Jasper, Arkansas; Grand Gulf, a spectacular collapsed cavern near Koshkonong, Missouri; and Big Spring near Van Buren, Missouri, the largest single-opening spring in the United States. There are hundreds of caves and caverns, some of them quite large. Spectacular Blanchard Springs Caverns near Mountain View, Arkansas, is one of more than forty developed caverns. These unusual features are formed by the solution of the limestones and dolomites as the groundwater percolates through them. The region also possesses exceptional water resources in the form of man-made reservoirs, including large lakes such as Lake of the Ozarks, Lake of the Cherokees, Table Rock Lake, and Greers Ferry Lake. The Ozark region and its borders boast 18 reservoirs covering more than 534,000 acres, with a combined shoreline of 7,350 miles. Some fast flowing rivers, including the Current, Jacks Fork, and Buffalo, have been designated protected scenic rivers. More than fifty streams provide fast clear waters for canoeing and float fishing. The bedrock is domed upward elliptically, being highest along the central line running from a point near Ste. Genevieve, beside the Mississippi River, to the Missouri state line near the southwestern corner of Stone County. The highest elevations in the region are found in the Boston Mountains of Arkansas, where there are extensive uplands of more than 2,000 feet elevation in Madison, Newton, Washington, Franklin, Johnson, and Pope counties. A few summit areas in extreme western Newton County exceed 2,500 feet. The central Ozarks is lower than the southern and western rimlands, but elevations in the St. Francois Mountains generally exceed 1,600 feet and the highest elevation in Missouri (1,778 feet) is the summit of Taum Sauk Mountain in Iron County. Elevations nearly as high are reached on the western rimlands in western Wright County, Missouri, where the summits near the hamlet of Cedar Gap reach 1,728 feet above sea level. The variegated landforms and relief are the result of several factors: different resistance to weathering and erosion of any two adjoining rock masses, the structure (tilt) of the rock layers, the porosity of the rocks, and the work of streams. For some readers it may be helpful to visualize the Ozarks as a huge layer cake in which the center has been eaten out. In-facing cuestas (hills with steep scarp slopes and gentle back slopes) mark layers of resistant rock that are underlain by weaker rocks. The region and its parts have been named carelessly; established use takes precedence over definitive labels. Thus the region is variously called the Ozark Mountains, Ozark Plateau, Ozark Plateaus, Ozark Upland, Ozark Hill Country, and Ozark Highland. Because the region is neither very high nor mountainous, the terms "plateau" or "upland" seem best to apply. The Ozarks has the general shape of a parallelogram. The region is part of the Interior Highlands Province, which includes the tightly folded and strongly faulted rocks of the Arkansas Valley and Ouachita Mountains. 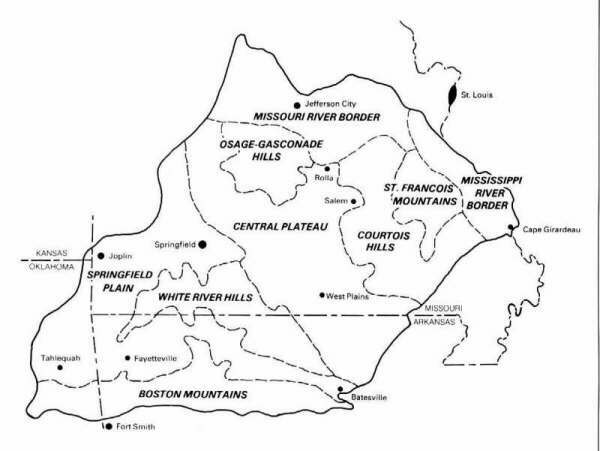 The Ozarks may be divided into several topographic subregions: the Saint Francois Mountains, the Boston Mountains, the Springfield Plain, the White River Hills, the Osage Gasconade Hills, the Courtois Hills, and two loess-covered border areas along the Mississippi and Missouri rivers (Map 1). The Missouri River Border is a transitional area to the glacial plains of northern Missouri. Included is a narrow band of hills north of the Missouri River. River bottom farms are flooded frequently. 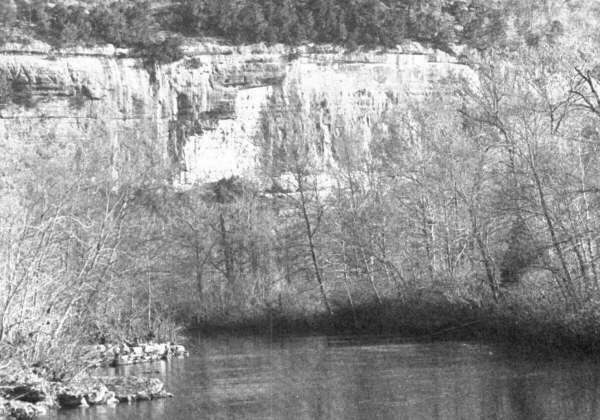 Limestone bluffs, undercut by the river and faceted into pyramidal forms by tributary valleys, are bare of vegetation except for a few hardy cedars (junipers) that cling to precarious ledges. Most of the rolling upland is covered with rich loessal soils suitable for farming, making this region one of the Ozarks most productive agricultural areas. The Mississippi River Border consists of a narrow strip along the Mississippi River. Hilly belts extend back from the Mississippi River and its tributary streams; an extensive hill belt in the drainage area of the River Aux Vases is known as the Becket Hills. 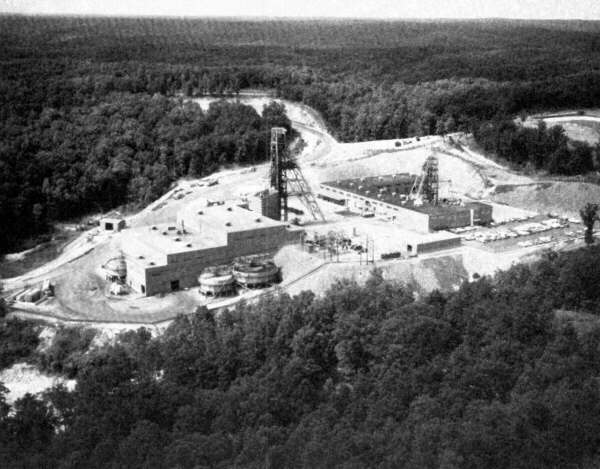 The most extensive upland area is the Barrens in Perry County, where large sinkholes are more numerous than in any other section of the Ozarks. Both the upland and bottomland soils are rich. German immigrants laid out production farms on the upland soils during 19th century settlement. The Springfield Plain is a gently sloping surface that forms the western border of the Ozarks. Relief is less and soils are nearly as fertile as those bordering the Mississippi and Missouri rivers. Much of the upland originally was in prairie grass and resembled the plains region in eastern Kansas. The St. Francois (pronounced "Francis'') Mountains lie in the eastern Ozarks, but they are geologically and physiographically the center of the region. 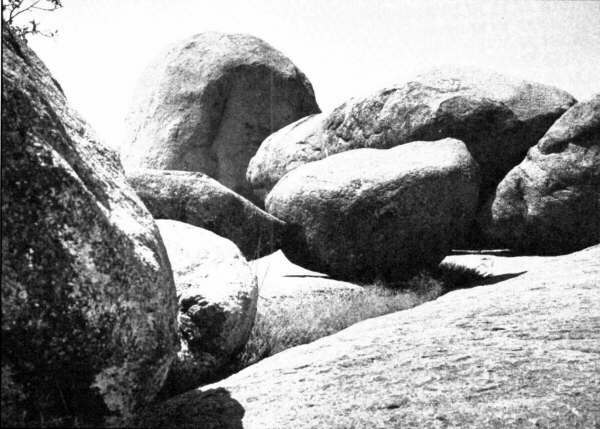 The knobs of granite and felsites are slowly being exhumed by weathering and erosion. The relief in the igneous rocks was etched in ancient times and is slowly being uncovered as the overlying sedimentary rocks are removed. Some of the mountains, such as Buford Mountain, Bono Mountain, Taum Sauk Mountain, Black Mountain, Mudlick Mountain and Profitt Mountain are linear in shape. Others such as Shepherd Mountain and Pilot Knob are cone shaped. Deep gorges, called shut-ins, have been carved in the resistant igneous rocks. Fertile basins in the mountain region were among the first permanent settlements in the Ozarks and became prosperous farming communities. The Courtois Hills Region (pronounced "Cote-o-way" or "Curt-o-way") has the steepest average slopes and wildest terrain of any part of the Missouri Ozarks. Although it does not have the greatest relief, it is the most rugged district in Missouri, consisting of a maze of deep, confined valleys and sharp ridges. The region is named after Courtois Creek in Crawford County, one of the earliest valleys to be settled but only one of several streams in the district with steep valley walls and chert-clogged channels. "Down in the hills and hollers" applies to this region more than any other section. Greer Spring is only one of several spectacular springs in this region. Others are Round Spring and Alley Spring near Eminence and Big Spring near Van Buren. Caves, sinkholes, and solution valleys are also quite characteristic of the region. The Sinks and Natural Tunnel on Sinking Creek, a tributary of the Current River, are spectacular solution landforms. Historically, timber was the main source of income. In recent years, rich lead deposits were discovered in ancient coastal reef deposits buried more than 900 feet beneath the surface. Lead and zinc ores from the New Lead Belt, or Viburnum Trend, have brought new income into one of the poorest districts in the Ozarks. Agriculture possibilities are very limited. Population is mainly confined to the valleys, where soils, terrain, and excellent springs provided settlement niches. Because it is the largest area of severely dissected country, the Courtois Hills ranks with the Boston Mountains of Arkansas as a region of isolation and limited agricultural possibilities. Many unsurfaced roads can be traveled only in a pickup truck, and even the best bituminous-surface roads wind along ridgetops and descend into valleys on steep grades. The White River Hills lie at and beyond the margin of the Burlington limestone in Arkansas and southwest Missouri. The hills are nearly as rugged as the Osage-Gasconade Hills and the Courtois Hills, and the scenery is even more attractive. Forested slopes, bold limestone cliffs, and park like cedar glades combine with lobate caves, streams and springs. Several large lakes--Beaver, Table Rock, Taneycomo, Bull Shoals, and Norfolk--have been impounded along the White River. The result is a scene that combines splendor, variety, and charm. The Osage-Gasconade Hills region includes the ridges and steep tributary valleys along the Osage and Gasconade rivers and their larger tributaries. In no other place in the Ozarks are the large streams so deeply entrenched into the upland. 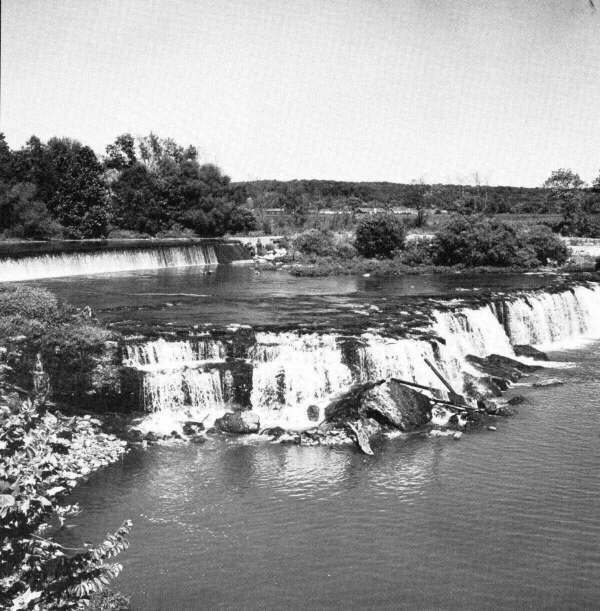 The dam at Bagnell on the Osage River formed Lake of the Ozarks in spectacular meander loops. In Pulaski County, the Gasconade River has created eight-mile Moccasin Bend, which brings the river back to within a thousand feet of the beginning of the loop. The region is also known for its karst features, notably springs, caves, sinks, and natural bridges. Hahatonka Spring near Lake of the Ozarks and Stark Caverns near Eldon are two of the most publicized scenic attractions. The Central Plateau is surrounded on three sides by rugged hill districts. The plateau and the Springfield Plain are the only parts of the Ozarks Plateau that have not been dissected thoroughly. However, portions of the plateau, where streams cross the region, show extreme dissection. The best agricultural land is on the uplands, which are extensive in some areas. The larger upland tracts were named at an early date and always have been known as productive agricultural islands in the forested interior Ozarks. The larger tracts are the Salem, Licking, and Summersville uplands; the Lebanon and West Plains prairies; and Buffalo Head Prairie in Dallas County, Missouri. The Boston Mountains lie in northern Arkansas and northeastern Oklahoma. The northern boundary, the Boston Mountain Front (or escarpment), marks a sharp change in topography, rocks, and soils from the country north of it. The boundary is a definite line, easily identified and traced on the ground. South of Harrison the Boston Mountain Escarpment stands more than 1,000 feet above the Springfield Plain, and mountain outliers comprised of sandstone and shale have been detached from the main upland during millions of years of erosion. The most prominent of these isolated mountains, the Boat Mountain group, eight miles southeast of Harrison, stands in splendid isolation 1,000 feet above the Springfield Plain and about eight miles away from the front. The valleys were once more heavily settled; brush and scrub timber choke fields that formerly grew crops of corn and cotton. Agriculture has declined over the years because of isolation, poor road, long distances to markets, and the small amount of level land and fertile soils. Many distinctive events have shaped the human geography of the Ozarks. A great deal of trial and error experimentation has been involved in the economic development of the region. Although crop agriculture is greatly diminished from former times, the Ozark region's resources are being exploited in new ways. The combination of heavily forested mountains, cascading creeks and rivers, eighteen large reservoirs, and a reputation for bucolic, "down home," low-cost vacations has made the region an increasing popular tourist destination. The region also benefits from its strategic location in the central agricultural heartland of the United States, making it easily accessible to large numbers of people who wish to experience the Ozarks many natural and man-made attractions. Since about 1965, population has grown very fast. The most substantial increases have occurred in the larger towns, but the most rapid rates of growth have taken place in counties that border the large reservoirs. For many years the Ozarks was a backwater area effected only marginally by growth and development in the rest of the country. Some sections of the Ozarks have been better suited over time than others to adapt to the forces of change, but today, when scenery, water, and recreational potential are increasingly valuable resources, the Ozarks is experiencing rapid growth and development. It is in many ways a region whose time has come. Milton Rafferty is Head of the Department of Geosciences at Southwest Missouri State University, and the author of several Ozarks and Missouri publications, including The Ozarks: Land and Life; Historical Atlas of Missouri; Missouri: A Geography; and, The Ozarks Outdoors, A Guidebook for Fishermen, Hunters, and Tourists.